The more I examine good news, the more I am convinced that it does not take extraordinary efforts to be the producer of such news. Case in point: recently during a fallen officer procession in Birmingham, Alabama, an officer stood at attention in the pouring rain, drenched to the skin. Her dilemma did not go unnoticed. A perfect stranger rectified the situation showing respect for her, and respect for the fallen officer. You can read all about it right here. This entry was posted in 21st Century Living, Community outreach, Health & Wellness, Personal Struggles, Quality of Life and tagged acts of kindness, fallen officers, KOMO TV News, KOMO-TV, respect for police. Early Sunday morning, April 7, 2013, a man fell while riding down an escalator to one of the downtown Seattle Metro bus tunnels. His shirt got tangled in the teeth at the base of the escalator, and unable to free himself from the jaws of death, he died of strangulation. I don’t know about you, but of all the possible scenarios surrounding my fear of dying, I can’t imagine experiencing that type of violent death. What rivals the tragedy of this man’s death is the way the local media treated the incident. Local television news outlets of ABC, NBC, CBS; and primary newspapers Seattle Times and Seattle PI; all felt it was very important for us viewers and readers to know that surveillance video showed that the man staggered onto the escalator; and that an opened bottle of brandy was found in his back pocket. Oh, I see, it’s the man’s fault for being strangled to death by the escalator on which he was riding. Perhaps, then, a better title for my article should be Suicide by Escalator. The deceased, Maurecio Bell, forty-two years old, was a father of four, a brother, and a son. Many family members are mourning this horrific death which was caught on surveillance video – of course – so that all of us newshounds would be able to witness him die right before our eyes. David Bell, the victim’s father, stated that anyone could have been strangled in that escalator regardless of the circumstances, e.g., someone could have had a stroke or a heart attack and have met the same type of end. Or, speaking for myself, maybe someone as clumsy as me could have lost his or her balance, fallen, and been strangled in a similar fashion. Why did the media decide to focus on this man’s possible inebriation? Like it or not, doing so turns ones attention to that extremely irrelevant element of the tragedy rather than on the real tragedy of the circumstances. And here’s something else for you to ponder. For those of you who do not live in my state of Washington, let me tell you something else that was seen on the surveillance video. A few people walked right past this man and did nothing to assist him. Eventually a passerby tried to free the man and when unable to do so, he pushed the emergency stop button and then attempted to revive the man with CPR. By then, of course, it was too late. Surveillance video showed that immediately upon getting caught up into the teeth of the steps, the victim struggled briefly and within moments, his body went limp. At least it was an almost instant death, but it was a fearsome and painful one, regardless of how quick. Isn’t an accidental death, an accident? Isn’t that the point of this story? 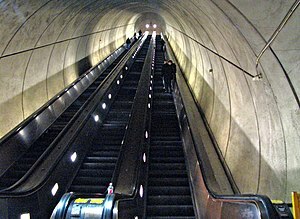 Why should any blame be apportioned to the victim when it has already been determined that it’s a strong possibility that the escalator in question might have some unattended service issues. But I’m not going to blame the escalator or the maintenance crew for that escalator, and I’m certainly not going to blame the decedent. Maurecio Bell was a victim who did not deserve to die in this manner and should not have had his character besmirched in the process. First and foremost, Maurecio was a human being; one of Earth’s short-lived inhabitants. Rest in peace Mr. Bell. I’m sorry your life ended at such a young age. This entry was posted in 21st Century Living, Community outreach, Family issues, Personal Struggles and tagged ABC, CBS, David Bell, King5 News, Kiro7 News, KOMO-TV, Maurecio Bell, NBC, Seattle Metro Bus tunnel, Seattle PI, Seattle Times. Your, ___________ fill in the blank? I learned something today for the umpteenth time and it came from someone who died two days ago at the age of 54 as a result of a 14-year battle with benign, but aggressive, meningioma brain tumors. Kathi Goertzen underwent numerous surgeries; endured countless chemotherapy and radiation treatments; and sought out additional therapies in other countries. But these tumors mercilessly came back again, and again, and again. Nerves in her face were destroyed making it difficult for her to speak as clearly as she wished. Similar nerve impairment gradually affected her ability to swallow, and therefore, eat. And what makes all of those symptoms more notable, is that Kathi was the consummate news anchor at a Seattle ABC affiliate, Komo4 News. Kathi was on camera for over thirty years and even when she was no longer able to sit at the anchor desk, Kathi powered through as a field reporter both in the United States and abroad. These tumors don’t define me. I won’t let them! I immediately thought of the many times I let hardships and circumstances define who I am. Oh, it’s so easy to give in to the tendency to feel sorry for ourselves isn’t it? 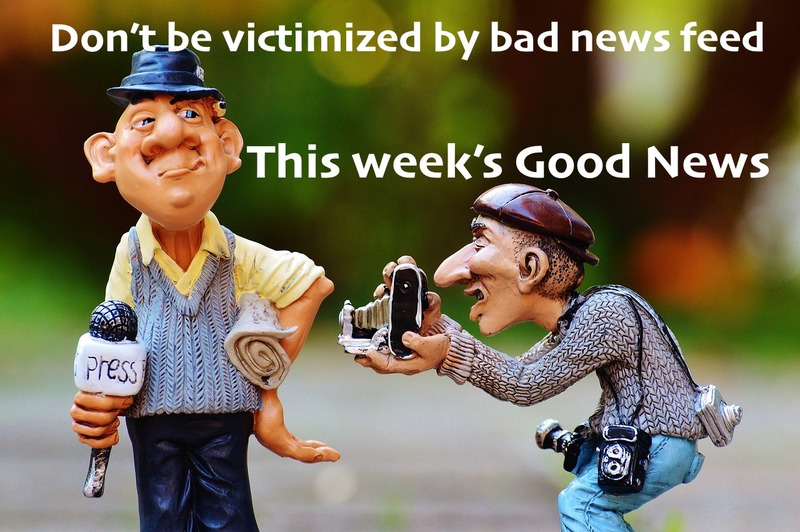 To pay more attention to the bad than the good. It’s scandalous to think that in my several decades of life I have given the hardship (whether it be chronic pain, relationships, job struggles and the like) the upper hand, thereby giving power to that which should have never been given purchase in my life. Thank you Kathi for getting through to me on this very important issue: circumstances don’t define me, I’ve only ALLOWED them to do so. Kathi Goertzen Foundation raises research funds to find cures for brain cancers and tumors. . This entry was posted in 21st Century Living, Health & Wellness, Personal Struggles, Quality of Life and tagged ABC News, Brain tumor, chemotherapy, Kathi Goertzen, Kathi Goertzen Foundation, KOMO-TV, meningioma, radiation treatments, Seattle.